Foredom Flex shaft from Rio Grande! 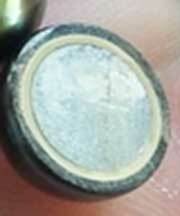 The abrasives used with polishing can remove the thin layer of nacre on a cultured pearl. 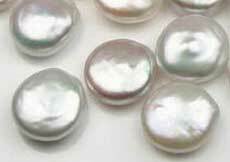 If the pearl is a natural pearl, it will have many layers of nacre. Nacre is a response to an irritant in the oyster or other mollusk. It builds up a layer of a calcium carbonate based substance called Nacre (pronounced: nay-ker). In many types of cultured pearls, a nucleus is inserted and the nacre grows over that. In the illustration above, the pearl on the left shows the thin layers of nacre and the large nucleus. If your pearl was inexpensive, chances are it has a large inner nucleus and a thin, outer nacre. I don’t recommend polishing pearls. That said, if you must remove the natural luster of a pearl to attempt a high shine, you could try using a product like rouge (Rio Grande product number: 331089) with a soft muslin buff (Rio Grande product number: 330506) – or the products that you have on hand. Or you could try a diamond paste (Rio Grande product #: 201490 – in various grits), a felt buff (Rio Grande product #: 330177) and a tiny drop of water. Wash all products with warm soapy water, afterwards. When using the rouge on the wheel, run the wheel and place the rouge against the moving wheel. You want a coating all over the wheel with out it being goopy and over-applied. With the diamond paste: apply a little paste on the working edge, put a bit of water on your finger and spread the paste around. The entire wheel doesn’t have to be coated. I don’t recommend using sandpaper on the pearl. Don’t overheat the pearl during the polishing phases. If you must polish it, dip the pearl in water to cool – often. Here’s a video by Douglas McLaurin of a man removing an outer layer, with a knife, to reach a shinier layer inside. 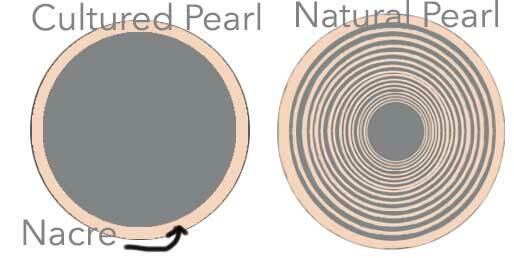 See this page: Natural Vs. Cultured Pearls, for more information.